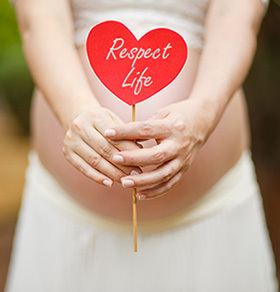 The Respect Life Office exists to uphold the sanctity of each human life from conception to natural death. A ministry of the Archdiocese of Miami, we are faithful to the Holy Father and the Magisterium of the Catholic Church. “Our goal is to eliminate violence against unborn children, their mothers, and those who are dying. We unalterably oppose the use of violence in any form to achieve this objective, and we condemn the actions of those few who advocate otherwise. […] It is our hope and expectation that in focusing on the need to respect and protect the lives of the innocent unborn and those who are disabled, ill, or dying, we will help to deepen respect for the life of every human being. […] This pastoral plan calls upon all the resources of the Church its people, services, and institutions to pursue this effort with renewed energy and commitment in four major areas. Public Information and Education to deepen understanding of the sanctity of human life and the humanity of unborn children, the moral evil of intentionally killing innocent human beings whether at the beginning of life or at its end and the mission of the Church to witness to and serve all human life.